Tulsan Sarah Sullivan creates textile goods and paintings infused with her Oklahoma roots. Be it cotton, wool or paint, the art from Sullystring has bright colors and eye-catching patterns and begs the observer to touch it – or cuddle, in the case of soft pillows. 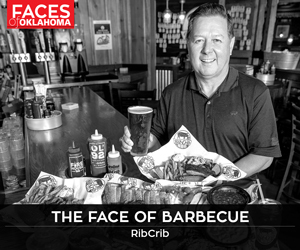 The story behind this Tulsa brand – the woman who runs the show – is even more compelling and inviting than the soft textiles and friendly murals themselves. 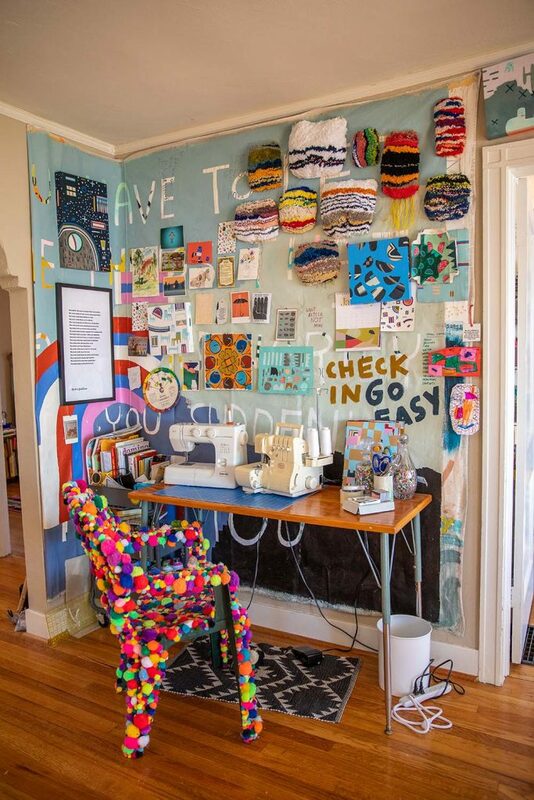 Sullystring is Sarah Sullivan – a weaver, painter and artist who creates and sells handwoven textile goods and paintings, and designs and paints murals. Sullivan says her earliest memories involve creating art. At the time, she didn’t think she’d make her living as an independent artist. 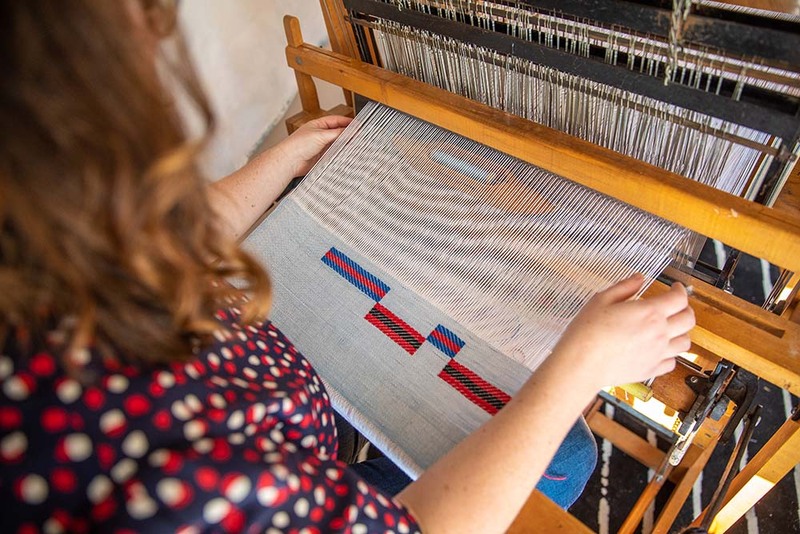 That seemed, as she describes, “a luxury and a long shot.” But a desire to design wallpaper and fabric led her to study textile design at the University of Kansas. While the ink dried on her bachelor of fine arts degree, she did what only a true weaving enthusiast would do and bought a four-harness floor loom. “I didn’t intend to make it a full-time gig originally, but I soon realized it was an advantage to have this weird instrument that not many people had,” she says. “I love studying unexpected color relationships and how they make a person feel,” Sullivan says. Her Oklahoma roots have also influenced her art. 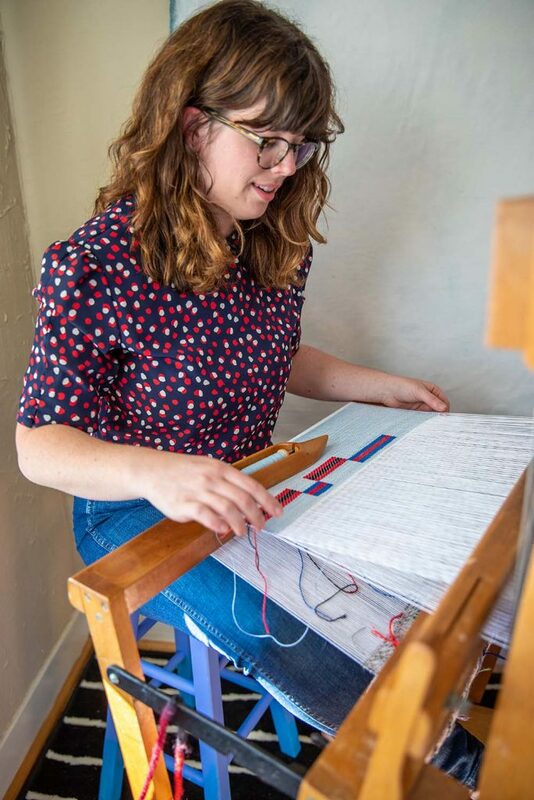 Sarah Sullivan of Sully Strings works out of her apartment, making tapestries, pillows and other home goods. 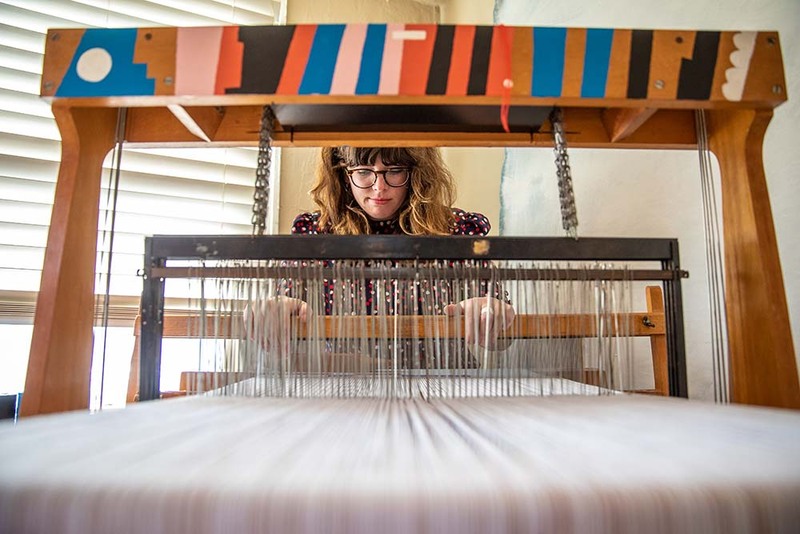 “I grew up studying the Native American textiles at Gilcrease [Museum] and Woolaroc, and while my work doesn’t have the same symbolism, the influence is certainly in my brain,” she says. Sullivan is an artist and a businesswoman, stating that she enjoys all parts of running Sullystring. 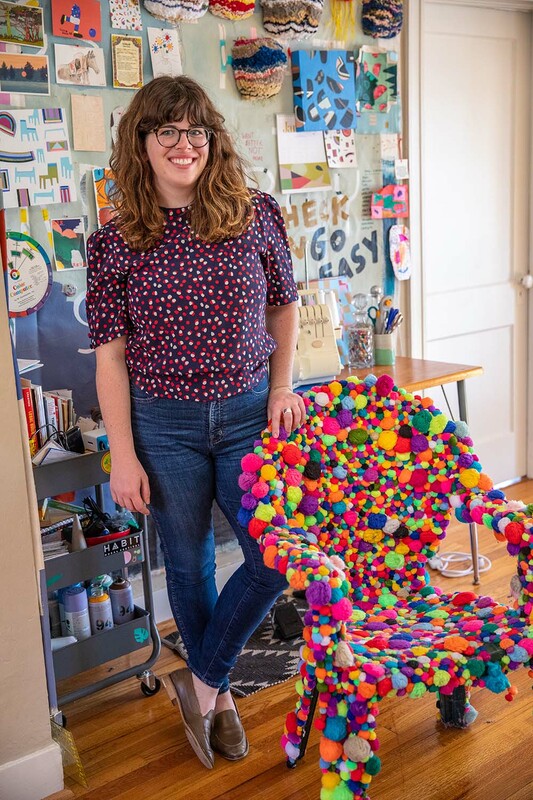 Her favorite work is making clients’ wild, out-of-the-box ideas come alive – be it paintings in their homes or using unexpected mediums. Sullivan has a keen eye for how her art affects customers.